← Sliding vs. Manual Doors: Which is Right for You? A lot of burglars are opportunists who chance their luck when it comes to breaking into houses. They look for open windows and unlocked doors, capitalising on the mistakes of unknowing homeowners. Statistics show that the majority of home burglaries are carried out in this exact way. 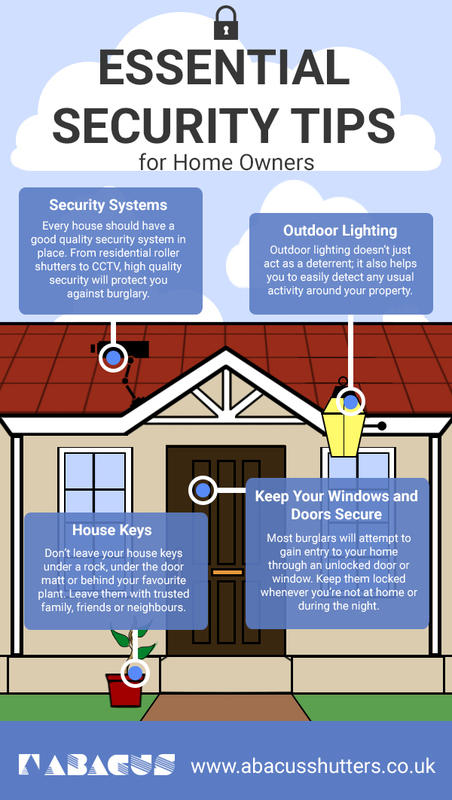 Our infographic highlights some of the most essential (and basic) security tips for homeowners. You should follow these to avoid becoming a statistic yourself! To secure your property, please contact us today on 0845 644 1225 and we will be more than happy to provide you with all the information you need.